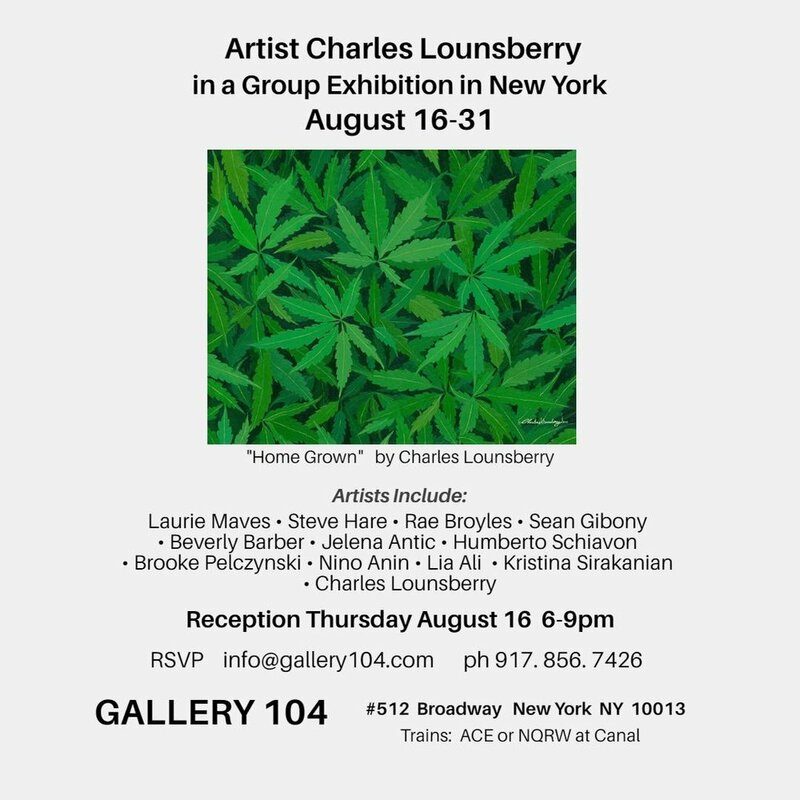 I am excited to have my original marijuana-themed painting titled "HOME GROWN" on exhibit to tonight 6-9 PM (and through August 31) at the 2018 Group Exhibition at Gallery 104 373 Broadway # 512 New York, NY 10013 in trendy Tribeca. I am pleased to have been accepted to exhibit my original 32 x 40 acrylic marijuana-themed painting titled "Home Grown" at Gallery 104 August Group Exhibition. Gallery 104 is located in New York City, 373 Broadway #512 down in very cool Tribeca. The Group Exhibition runs from August 16 - 31. The opening reception for the for the show is Thursday, August 16 from 6 - 9 pm.